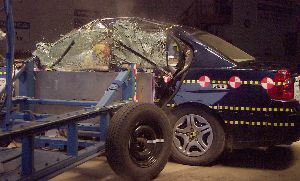 1 During the side impact test, the head of the driver dummy struck the upper trim of the top of the window opening, causing a high head acceleration. 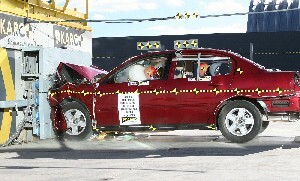 Head impact events resulting in high accelerations have a higher likelihood of serious head trauma. 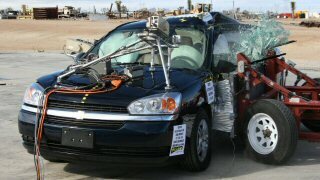 2006 Chevrolet Malibu 4-door sedan Good performance in front and side tests.